Hello! Today's card has my very first attempt at no-line coloring! I just love this stamp, and it was so much fun to color! (Although Jeff said that her hair looks like a beard and now it's really hard to look at her and not see the beard!) I stamped it in Antique Linen Distress ink on Neenah Cardstock and then colored it with Copics. I die cut it with the Pierced Fishtail Tags from My Favorite Things. (I love those dies, I think I need all of their pierced and stitched STAX dies. NEED.) I wrapped some twine around the bottom and added a bow; then I die cut some gray felt with the Small Scalloped Border die from Papertrey Ink and tucked that behind my tag. I trimmed my tag down to fit on my card front and then set the whole thing aside. I cut some plum cardstock to a card base and stamped the argyle stamp (still one of my favorites!) on the card base in purple and white ink. I adhered my tag to the front and then cut a white cardstock panel for the inside of the card. I stamped the sentiment in brown ink and then adhered the panel to the inside. 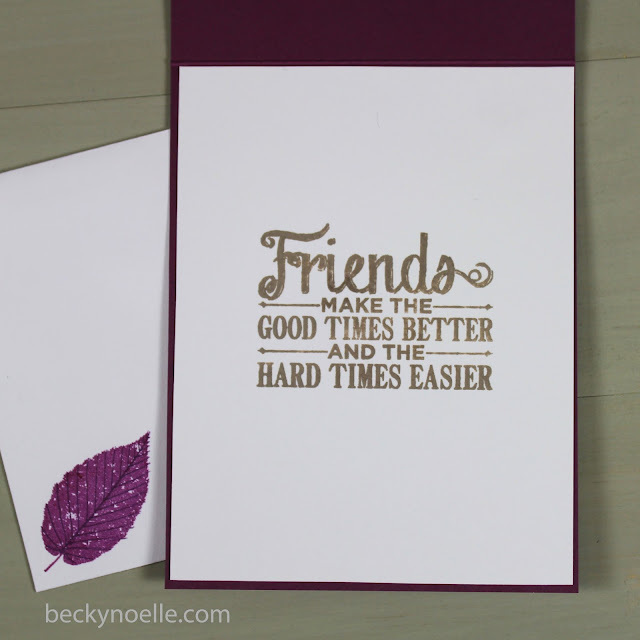 I stamped leaf on the envelope in purple inks to finish the whole thing up! I should be able to throw the last page or two for my 2012 December Daily album together this week and then I'll film a video of the whole album together! The coloring on her jacket was so well done that I had to take a closer look to see if the grey was shadow or just a three dimensional effect! 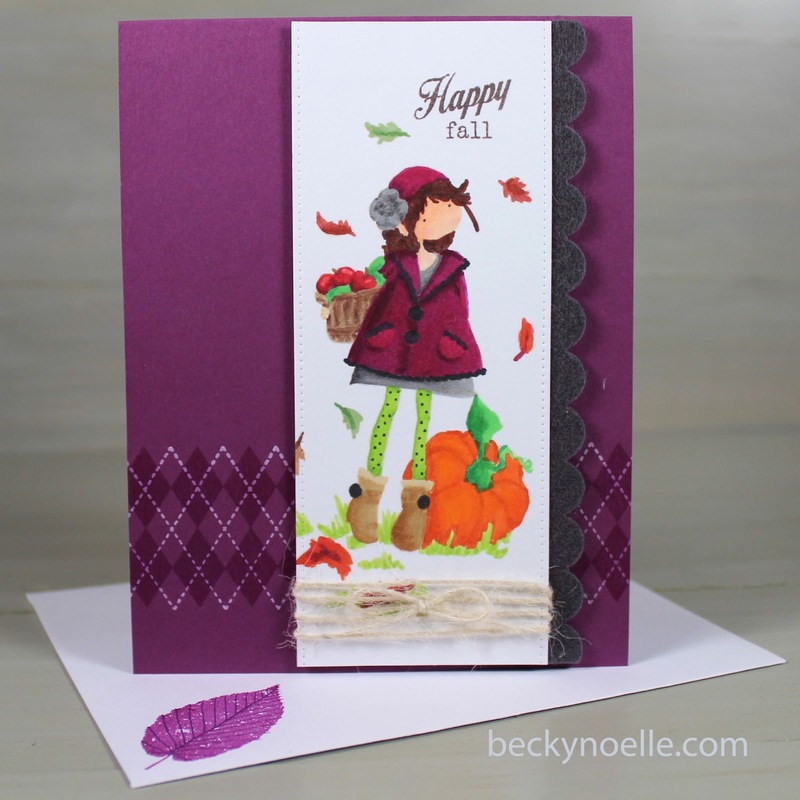 The falling leaves are a great touch, and the wrapped twine finishes off the card with a rustic feel. Well done!